Russian software security firm Kaspersky Lab has filed a lawsuit against the Trump administration over a ban on its anti-virus products. It is the latest move by the company to refute allegations that it is vulnerable to Kremlin influence. Kaspersky says the US has deprived it of due process rights by banning its software from government agencies. The company has repeatedly denied links to any government, and says it would never pursue cyber espionage. The company's founder, Eugene Kaspersky, said in a tweet on Monday: "We're securing out rights by taking this to the courts". In September, the Department of Homeland Security (DHS) told US government agencies to remove Kaspersky Lab from their computer networks within 90 days. The order came amid mounting concern in the US that Kaspersky software could assist Russian espionage and threaten national security. The ban was written into law last week when President Donald Trump signed legislation banning Kaspersky Lab from being used across civilian and military agencies. In an open letter to the Department of Homeland Security published on Monday, Mr Kaspersky criticised the DHS. He said it "has harmed Kaspersky Lab's reputation and its commercial operations without any evidence of wrongdoing by the company". The lawsuit alleges that the government largely relied on uncorroborated news media reports as evidence in a review of Kaspersky software. It asks the court to overturn the ban and also declare that the Russian company's products do not pose a security threat to US government computers. In October, Kaspersky offered to submit source codes for its software to independent authorities so they could inspect them. US officials have said that step, while welcome, would not be sufficient. Earlier this month, the BBC's security correspondent Gordon Corera disclosed that the British government had issued a fresh warning about the security risks of using Russian anti-virus software. He said the UK's National Cyber Security Centre was to write to all government departments warning against using the products for systems related to national security. 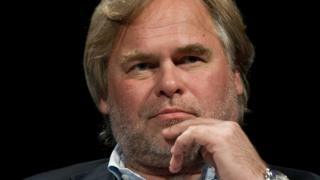 The Kaspersky lawsuit was filed in the US District Court for the District of Columbia.